That's one of those cliches among ultrarunners that has more than an ounce of truth. 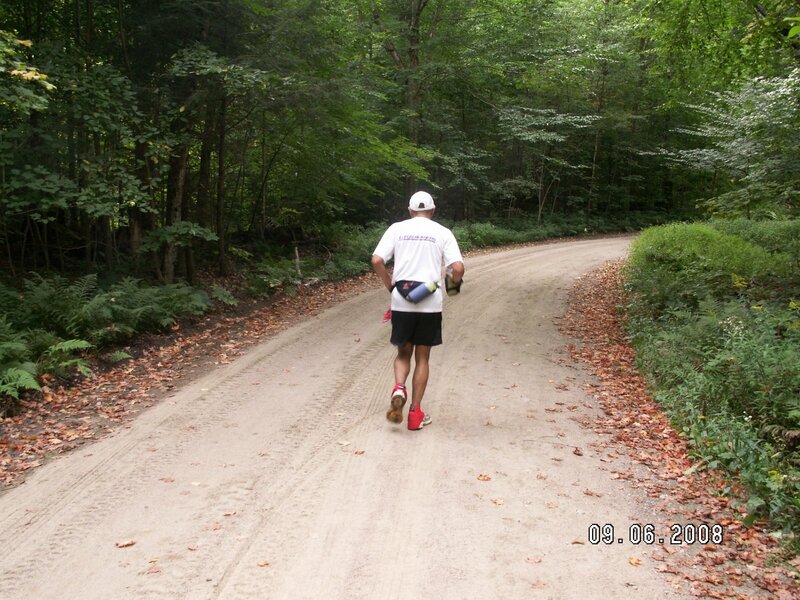 You train physically to run the first 50 miles and mentally for the second 50. 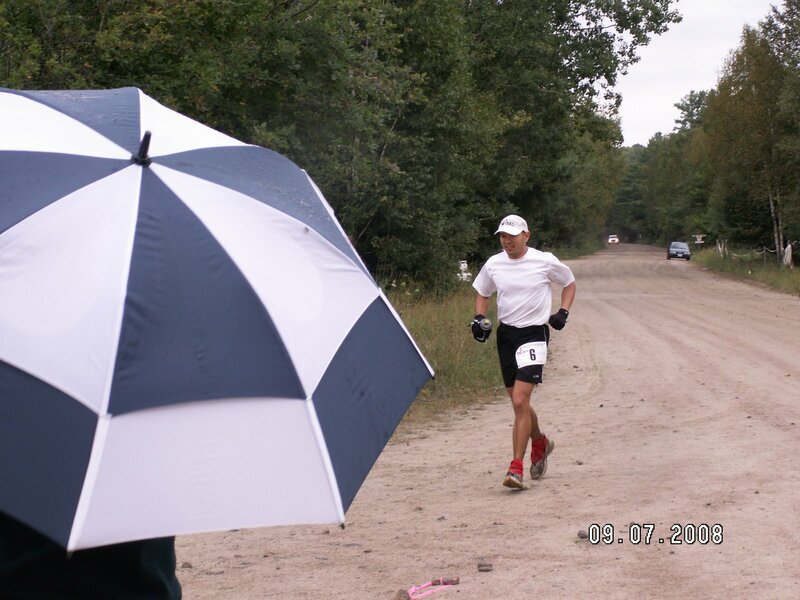 My first 100 mile run was the Haliburton Forest 100 in Ontario, Canada (pictured above). It consisted of two 25 mile "out and back" runs. Consequently, I hit the 50 mile point at the start/finish point just as the sun was starting to set, 50 mile runners were celebrating their finish, and I was physically more than exhausted. There weren't many 100 mile runners on the course, temperatures were dropping, and I knew that I had a long, cold night ahead of me. Holli stayed up most of the night with me, driving from aid station to aid station. It wasn't fun at that point, but I finished. I was thinking about this 50% mental rule last week, except this time it was 11:30 PM and I only had to run 7 miles to stick to my training plan. I was sitting on the couch trying to decide if I should run or not. I hadn't planned on getting on the treadmill that late, but I had let the boys stay up late as the summer days had gotten longer and right before bedtime Oliver had been missing his mommy. I wasn’t in the mood to run. I wanted to sleep. The mental “grit” required to run 100 miles gets all the glory, but the truth is sticking to a training plan takes more mental effort. If you can figure out how to stick to that training plan the race is easy. Just kidding, at least it's easier. I have stare down matches with the treadmill multiple times a week. Most of the time I get on the treadmill. Sometimes I don’t. I’ll be doing a little mental and physical training next weekend with a 50k at the Dawg Gone Long Run down in Dayton, OH with my old friend Luke. This will also be the first test run of the Run for Holli shirt that I’ll be wearing at the race. The Booster t-shirt campaign has ended and we sold 44 shirts to make $1,120 for the Children’s Grief Center of the Great Lakes Bay Region! That means, we have raised $3,975 towards our goal of $5,000! That’s incredible! Thanks everyone! Even though you can't order t-shirts anymore, you can still make donations here!